American surgeon; born in Syracuse, N. Y., June 25, 1857. He was graduated from Syracuse University, and took a postgraduate course at the University of Vienna. He is professor of clinical surgery in the College of Medicine of Syracuse University, visiting physician to St. Joseph's Hospital at Syracuse, and consulting surgeon to the Syracuse Hospital for Women and Children. Jacobson has for more than twenty years been a member of the executive board of the Jewish Orphan Asylum of western New York. 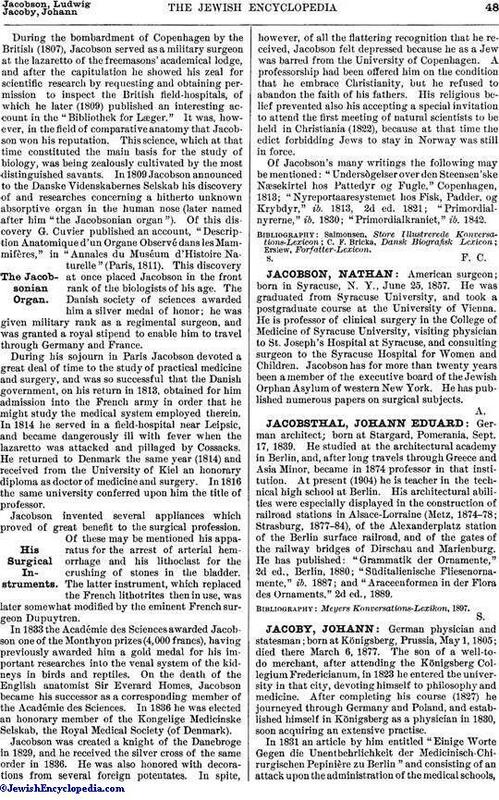 He has published numerous papers on surgical subjects.